Dr David Kalombo is currently an independent consultant and senior technical advisor of the Foundation for Professional Development (FPD) supporting the National Department of Health HIV&AIDS Cluster, he is highly experienced, passionate and results driven manager with more than 25 years of clinical public health management experience in South Africa, DR Congo and SADC region. Of significant from 2005-2009, Dr David Kalombo was the first project manager/director of the largest HIV&AIDS Treatment program in the world in South Africa called the Comprehensive HIV and AIDS, TB Care, Management, Treatment and Support in South Africa. This program now has more than 3.6 million patients. The focus of the programme was to strengthen the health Care system in South Africa through HIV&AIDS service and correct the imbalance of the health care system of the past Apartheid era. He has an extensive international HIV&TB management experience in Africa SADC region and has worked within the UN system with UNICEF in South Africa as a senior technical HIV &PMTCT advisor and also more recently led as a Chief of party a TB&HIV USAID project in DR Congo taking the HIV and TB services to the more remote regions of Africa. Dr. Kalombo has extensive experience in policy development, program planning, implementation, training, monitoring and evaluation, financial management, donor funding management, systems development and strengthening. He has been an investigator and co investigator in local and multi-national research studies and has attended many workshops and conferences around the world. Dr Kalombo holds a Medical degree (MD) at the University of Kinshasa in DRC in 1990. He is completing his MBA at Milpark Business School and has attended many short courses; the recent one was done on the decentralization at Public Health Harvard University, Boston, MA, USA. 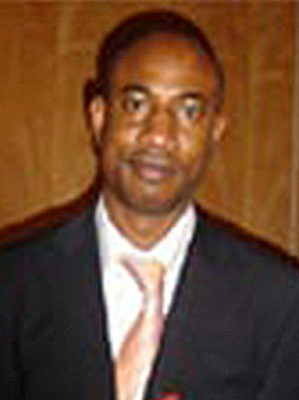 He is fluent in English and French and other local African languages.